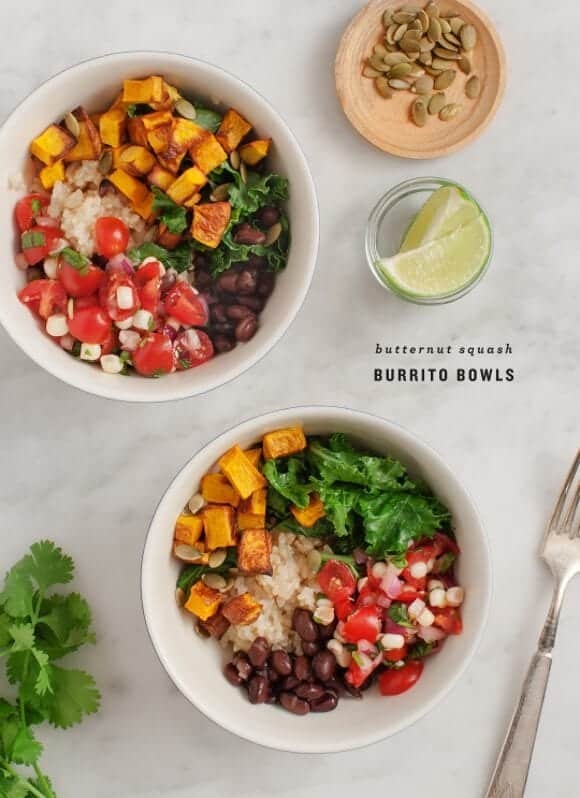 Butternut squash burrito bowls are healthy, easy vegetarian dinner! 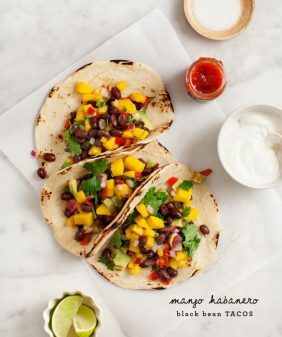 Filled with black beans, pico de gallo, kale & avocado, they're hearty & delicious. Sometimes I feel like I have a never-ending stream of ideas. One idea leads to the next and a few tangents later they multiply into lists full of recipe possibilities. Other times, I’m completely blank. This is the part where I usually talk about how I was romantically re-inspired after a stroll through the farmers market. But not this time. This weekend, we strolled and we market-ed. Still blank. Then, this idea popped into my head at Chipotle, of all places. It was a rare day that we were even at Chipotle, (we usually favor our local Freebirds). 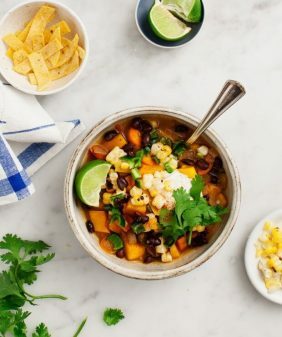 Either way, I’m a sucker for a burrito bowl and I loved the idea of adding butternut squash for a seasonal spin. I’m also a sucker for alliteration – so the 3 B’s in Butternut Burrito Bowl had a nice ring to it. Although I actually have 4 B’s in here, if you count the brown rice. (btw, if anyone from Chipotle is reading this: Brown Rice. Just sayin’). This ingredient list looks long, but feel free to take it in pieces. No corn? Skip it. Tomatoes out of season? Use a good store-bought salsa instead. I made a creamy avocado sauce with yogurt and cilantro. If you’re vegan, you can use cashews and water in place of the yogurt. And if you’re blender-less (or just short on time), mash up the avocado with lime and salt for a basic no-fuss guacamole. If you’re paleo – leave out the rice and beans and turn this into a big kale salad. Make the pico de gallo: In a small bowl, mix together the tomatoes, corn, onion, garlic, lime juice, serrano, and cilantro with pinches of salt and pepper. Let chill for at least 30 minutes. Taste and adjust seasonings before serving. Drizzle the butternut squash with a little olive oil, salt & pepper. Roast for 30 minutes, check and flip and continue roasting until golden brown (about 10 more minutes). Remove from oven and toss with the chili powder. 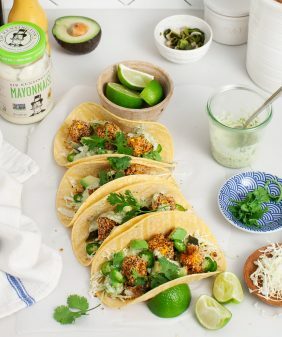 Make the avocado crema: In a blender, mix together the avocado, yogurt (or cashews), lime, garlic, onion, cumin, coriander, cilantro, salt & pepper. Blend until smooth. Taste and adjust seasonings. Chill until ready to use. Assemble bowls with brown rice, black beans, kale, butternut squash, and the pico. Top with the toasted pepitas and serve with the avocado crema. *If corn is out of season, skip it. If tomatoes are out of season, sub in a good store-bought salsa instead of making the pico recipe. **If you don't have a blender, just mash the avocado with salt & lime for a quick and easy guacamole. ha! sometimes all you need is a chain restaurant to inspire. loving this big bowl of colour! Agreed – I believe all Chipotle has brown rice? I have seen it coast-to-coast from SF to NYC, and even in small-town Indiana! Oh this is so up my alley! I have a love/hate relationship with Chipotle..there are 2 that are way too close to me which I love, but my body doesn’t love me the next day! haha I love your homemade and much healthier version! Ha, I loved your subtle sarcasm in this post! Sometimes that inspiration just doesn’t come, does it?! But love this fall spin on a burrito bowl. 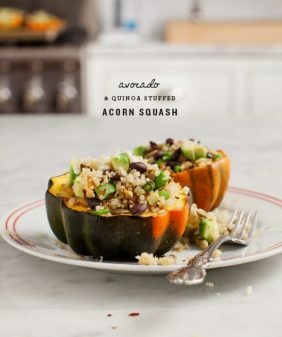 I’m always roasting sweet potato for similar rice bowls but I should try butternut next time. 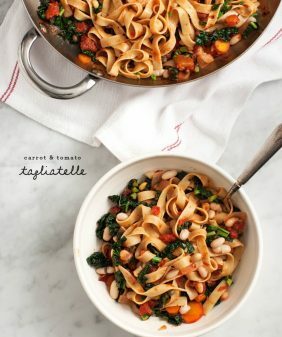 Totally in love with the recipe! And totally get you on the blank! Maybe it is just autumn that influence on the mood? Btw, i just love pico de gallo!! Butternut squash is my favourite squash! I love how sweet they get roasted. Whats not to love about this dish?! Delicious and comforting! I’m such a sucker for a burrito bowl (for Chipotle, myself, haha), but this version look even better! I’m always surprised where my favorite recipe ideas come to me. My most recent was a math class idea 🙂 I loooove butternut squash in fall and I’m a sucker for alliteration, too! These look awesome. 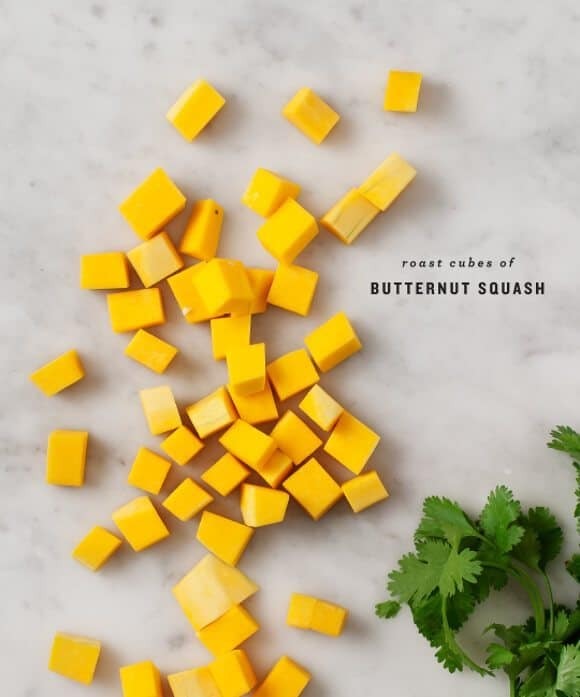 Ooo butternut squash…what a tasty addition! Putting various groups of ingredients in a bowl (usually with a fried egg on top) and calling it a meal is one of my favorite ways to cook. Fall is officially here, great recipe for butternut squash. I hadn’t thought to make a Mexican-style dish out of it. Looks like it’s time for me to develop a fall recipe for my food blog. Make your own burrito/ nachos/ giant salad is one of my favorite quick dinners! Usually I stick to a basic black bean and veggies combo, but who can say no to butternut squash? And these sorts of dinners always lead to equally awesome leftovers. Yes! Burrito bowls for all the seasons. I stocked up on butternuts at the market recently because they keep so well. This is a great, different, use for them beyond just roasting. I have been craving a good burrito bowl for a while now. I should make this version instead of going to Chipotle. PS Your social sharing buttons don’t work. Can I ask what browser (and version) you’re using and if you’re using Windows or Mac? Sure! Firefox 32.0.3 on a Mac. All share links open up blank new tabs. Totally sharing this recipe, and your blog, on my Friday links post tomorrow! Love that you always provide alternatives for Paleo, vegan, etc. Hmmmmmm,the fantastic dishes are so good, I think ! It’s very important to eat healthily because the body needs fit food! This dishes are perfect for that. This is really gorgeous! 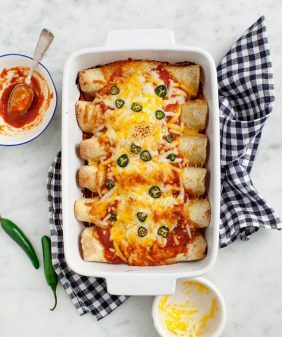 I’m a sucker for butternut and all spices Mexican! You do such a wonderful job with your pictures, too! I’m going to have to try this. I like your vegan idea with the cashews. I’m not vegan, but too lactose intolerant for yogurt. Thanks. I am definitely thinking I need to get some more butternut squash into my life. This looks so good! We made these for dinner tonight; they are delicious! We are adding them to our fall dinner rotation. Thanks for the recipe.